In 2015, Colegio Internacional Ausiàs March became an IB Diploma Programme candidate school and we would like to obtain authorisation to be an IB World School. 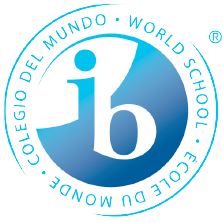 The IB World Schools share a common philosophy: A commitment to rigorous, high quality international education which we consider to be important for our students. Only schools authorised by the IB Organisation are able to offer its three academic programmes: the Primary Years Programme (PYP), the Middle Years Programme (MYP) and the Diploma Programme (DP) (in addition to the IB Certificate for career-oriented studies). The category of candidate school does not guarantee that the school will obtain the authorisation. The time established by the IB for preparation to teach the Diploma Programme is two years, during which the centre must complete the training of the teachers who will impart the programme and adapt the curriculum and facilities to the established requirements. After this, the visit and subsequent authorisation take place as appropriate. Therefore, the option to take this programme at the school will start in September 2017. For more information about the IB and its programmes, you can visit http://www.ibo.org. The school will continue to offer the Spanish Baccalaureate, so that families and students can choose freely between the two models.